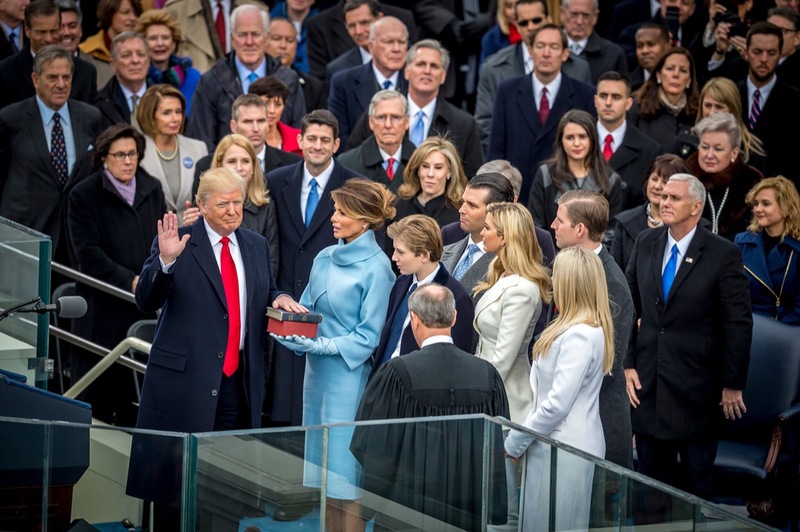 Donald Trump raised his right hand and vowed to preserve, protect and defend the Constitution of the United States. His wife, Melania, stood by his side. 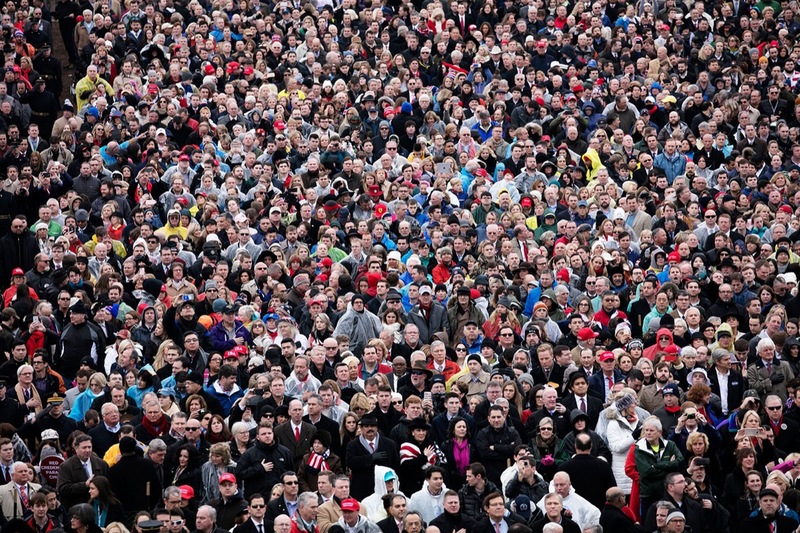 Politicians and past presidents surrounded the country’s new leader. Americans near and far listened carefully to his words. And at noon on Friday, January 20, Trump became the 45th President of the United States. 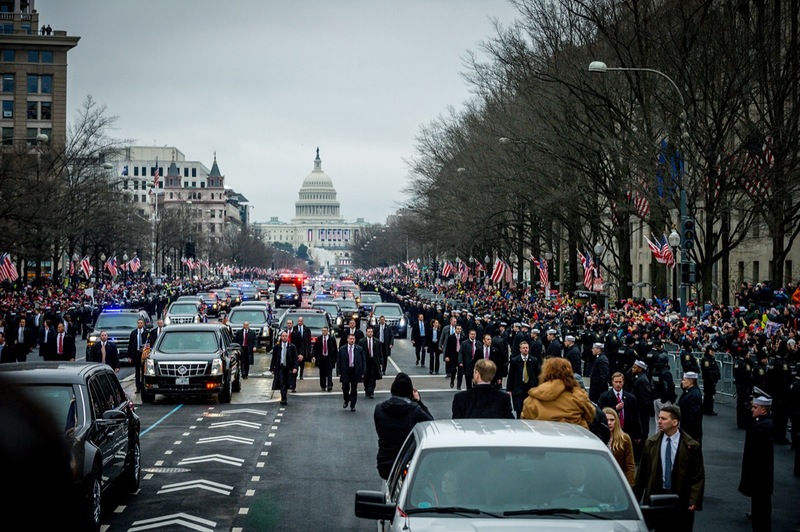 Photographers Mary F. Calvert, Mark Kauzlarich, David Hume Kennerly and Landon Nordeman were on the ground in Washington to cover the presidential inauguration for CNN. Kennerly has covered five decades of presidential politics and was President Gerald Ford’s official White House photographer. 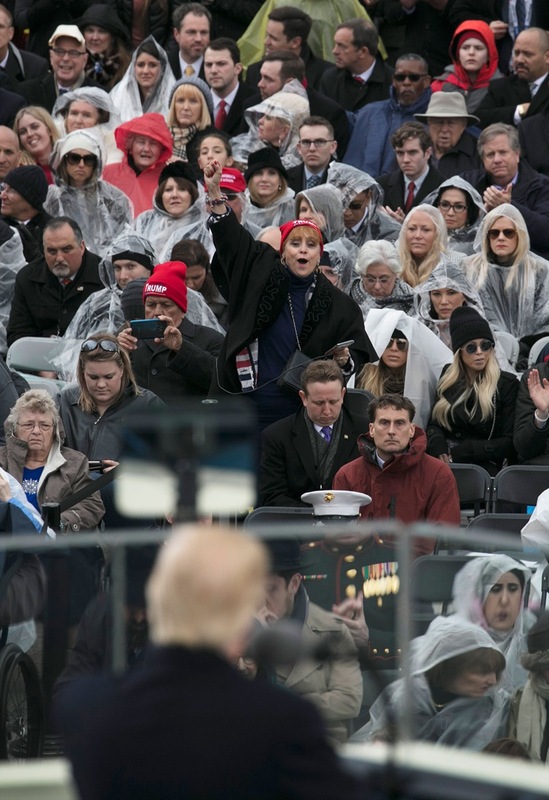 At Trump’s swearing-in ceremony, he said he had an almost cinematic vantage point. From where he stood, he could see the eight Supreme Court justices. Trump will be nominating someone to replace the late Justice Antonin Scalia, “so that’s a story within the story,” Kennerly said. 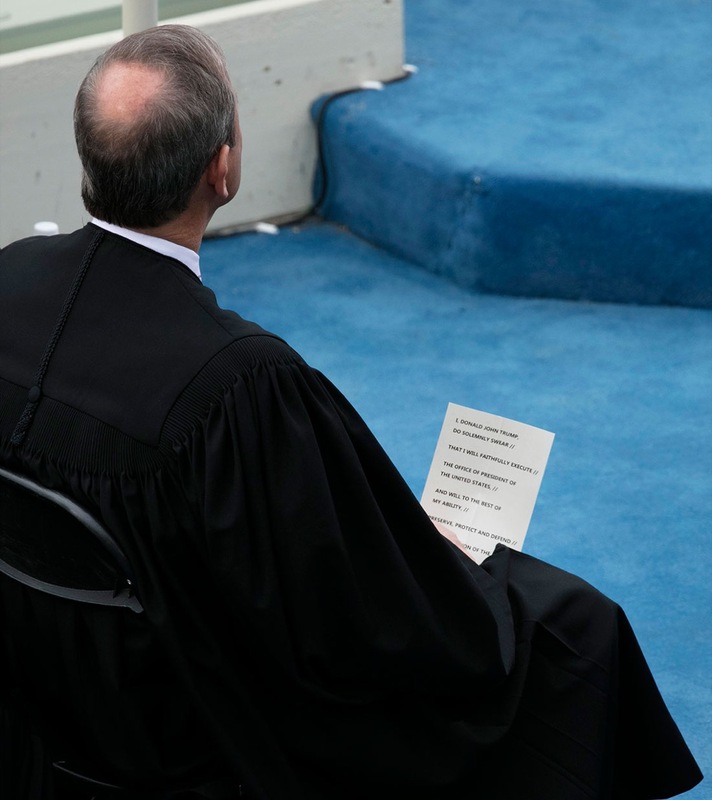 Kennerly could even read the oath of office printed in bold black letters on a white page held by Chief Justice John Roberts. 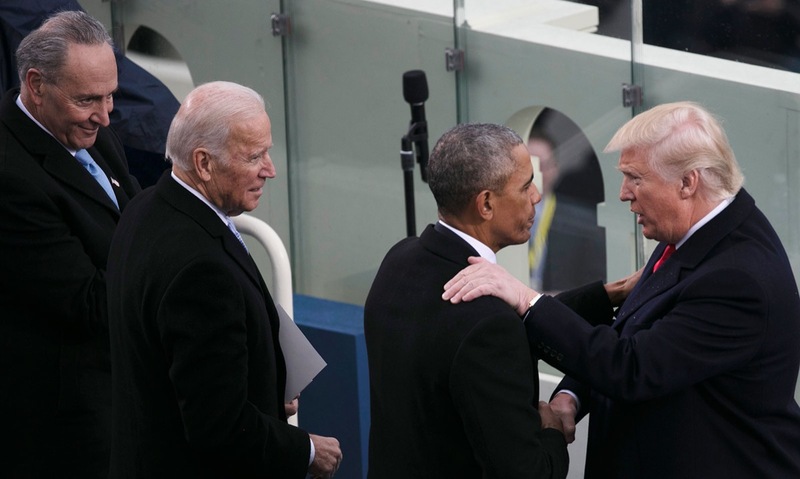 And he watched as President Trump placed his hand on the shoulder of Barack Obama, who had just become a former president. For Kennerly, the inauguration had a family feel to it; it was a big moment for the Trumps. Calvert said the people at the inauguration looked happy to be there, to witness this peaceful transfer of power. What Calvert found memorable was watching Obama as he listened to Trump’s speech. 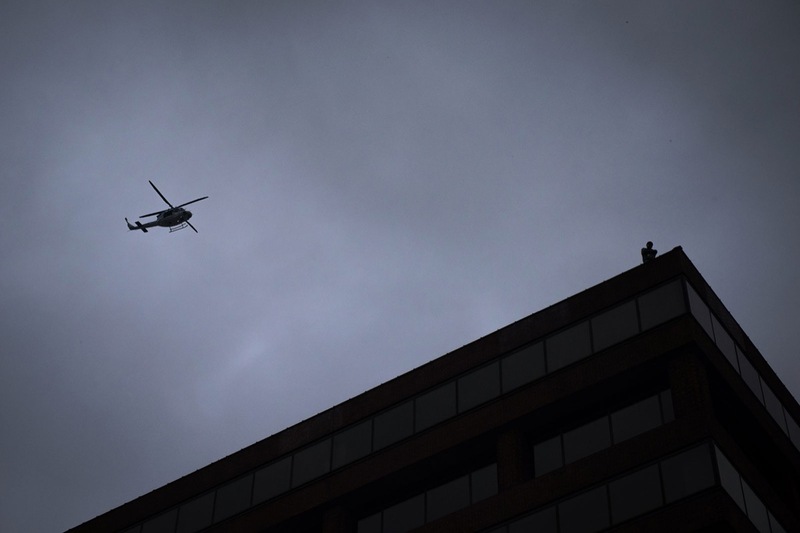 “He was listening very intently and you have to wonder what he was thinking,” she said. 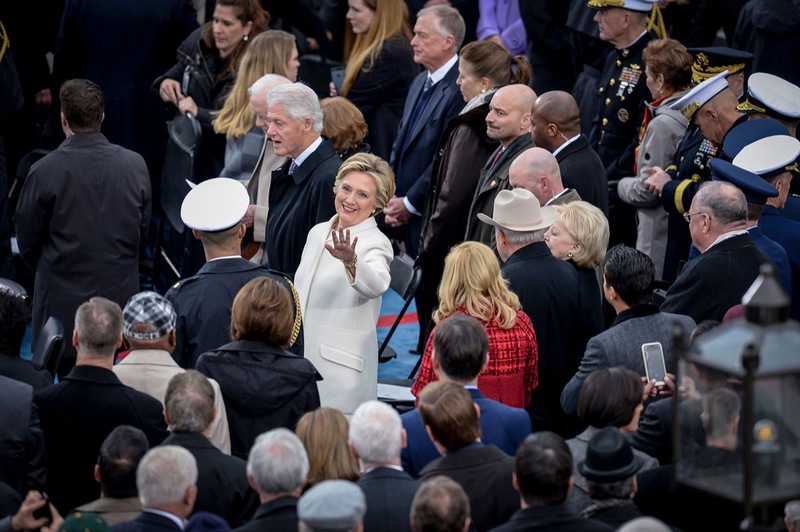 She also photographed the inaugural parade as Trump rode in the presidential motorcade. But the day wasn’t just celebratory. 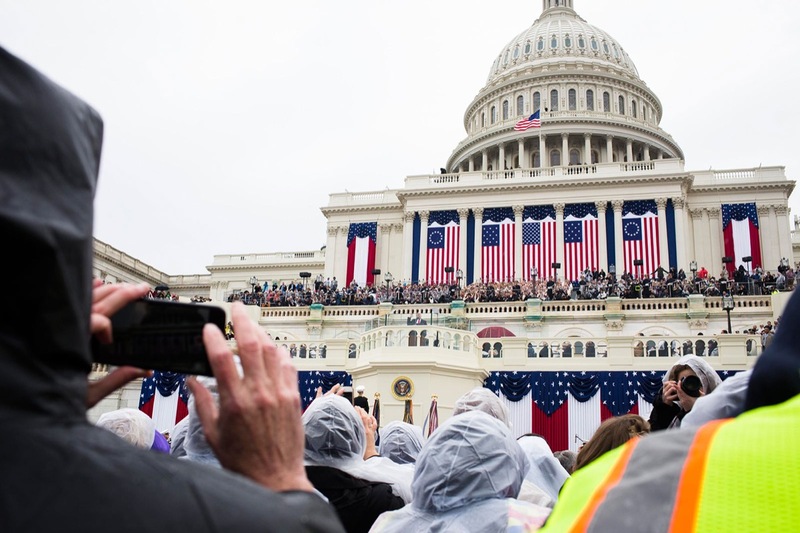 When she covered Obama’s inaugurations, Calvert said it seemed the majority of people there were excited about their new leader, and there were few protesters. “But today it was different,” she said. Kauzlarich spent part of his day photographing some of the demonstrations. The majority of protesters were peaceful, but there were some who expressed their frustrations with violence. 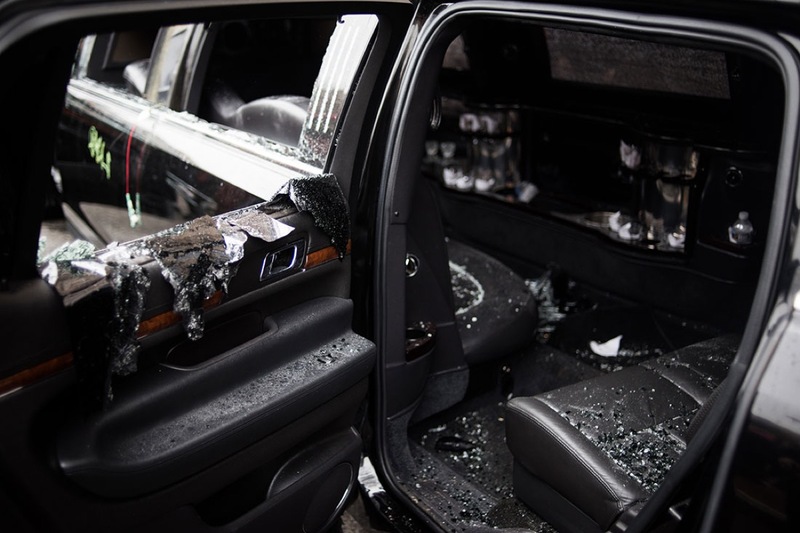 They threw bricks at police officers, broke the windows of businesses and set vehicles on fire. For a period of time, it was quite intense. 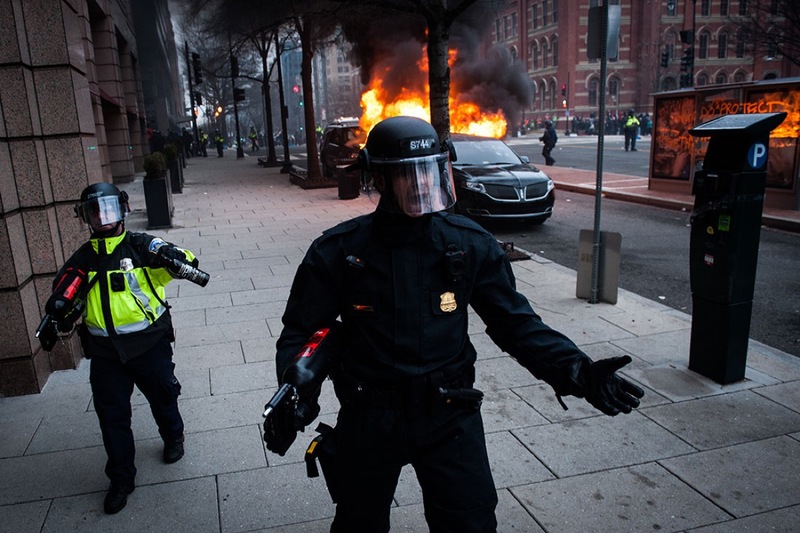 A group of protesters wearing black masks lit a limousine on fire. Police had to release what Kauzlarich said were probably flash grenades and pepper spray to get people away from the area. 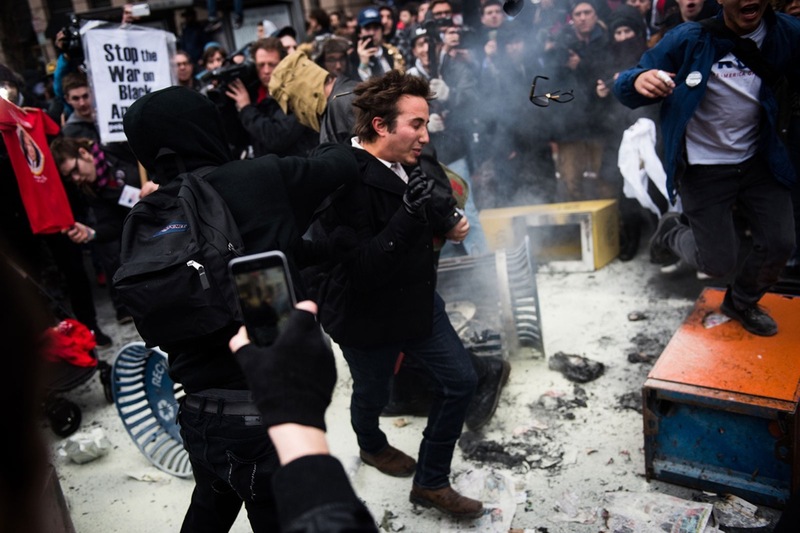 “There was this huge fire coming out of the limousine and a lot of protesters and a lot of media standing around it -- and a lot of chance that that could go very poorly,” Kauzlarich said. 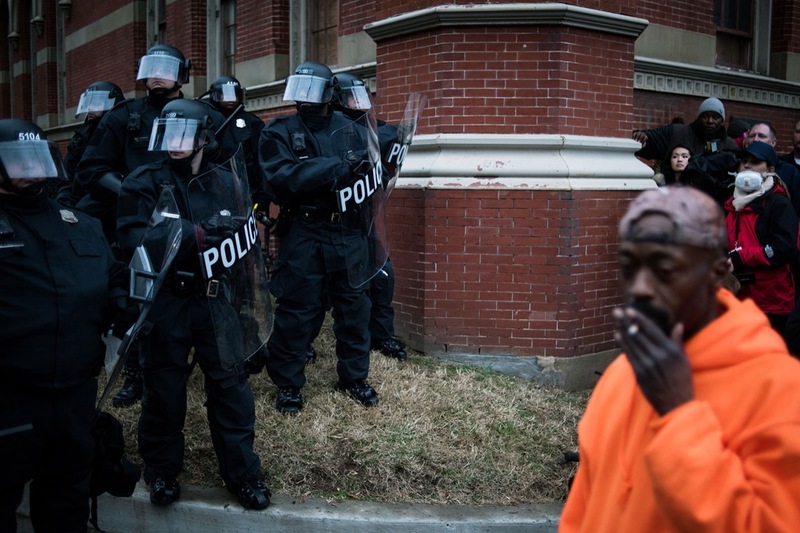 But there were efforts to create a sense of calm and understanding even in the more tense situations. When one police officer seemed to get a bit forceful with the protesters, Kauzlarich said a commanding officer stepped in. And later, another officer came over and started a dialogue, apologizing for the earlier the incident on behalf of the police. 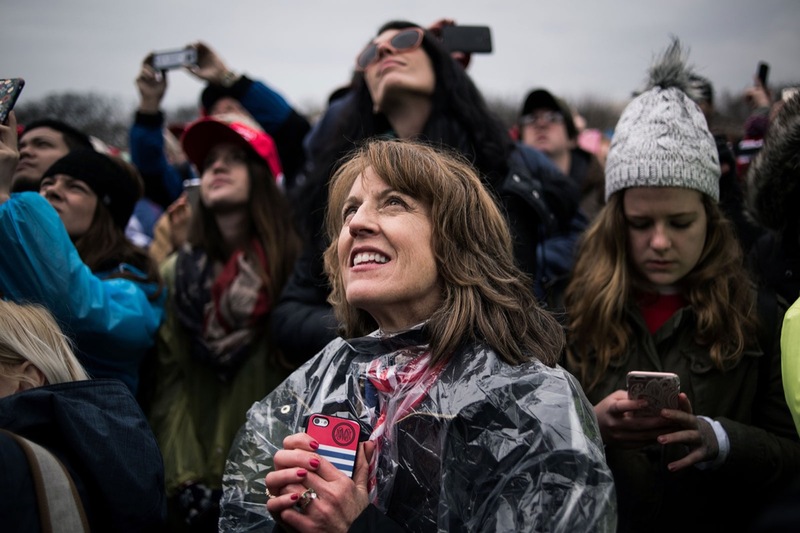 Kauzlarich added that there were a lot of people, whether at Trump’s inauguration ceremony or at the protests against Trump, who were there simply to observe. 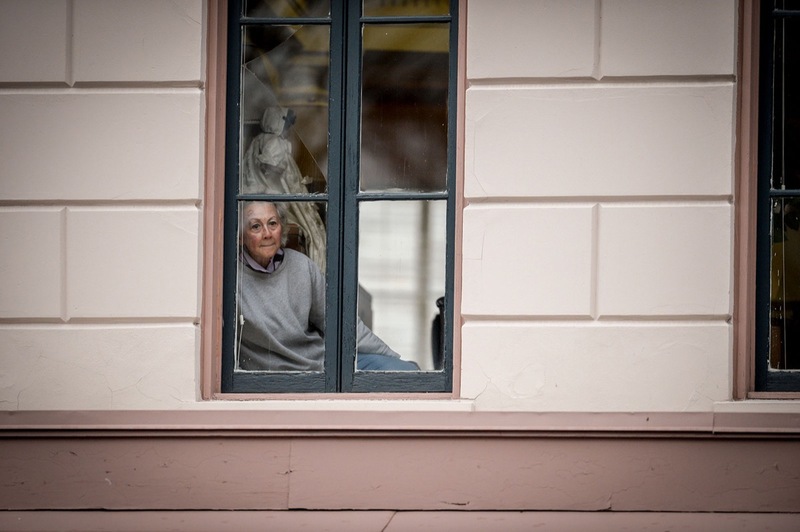 Nordeman did not witness the protests firsthand, and only saw images of what happened later on. 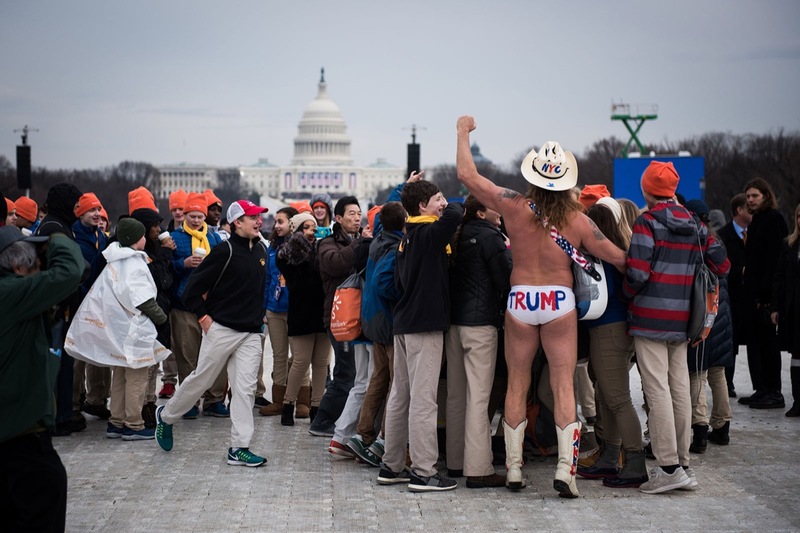 He spent the day photographing the inauguration ceremony and one of the night’s inaugural balls. 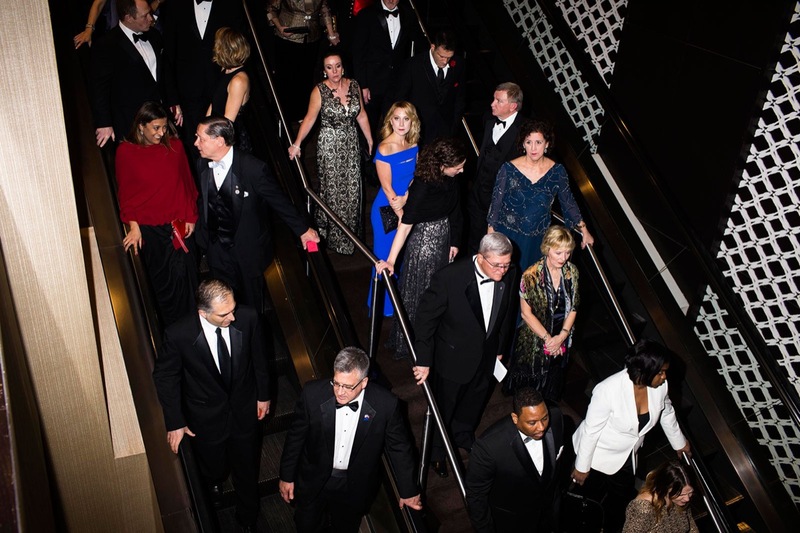 In the evening, he attended the Veterans Inaugural Ball. 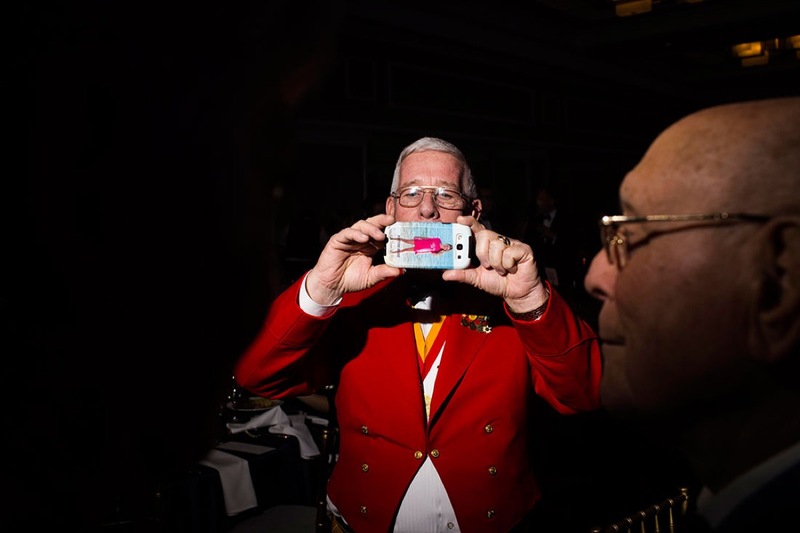 The event, also called the Salute to Heroes ball, paid tribute to veterans and Medal of Honor recipients. Nordeman said the mood there was celebratory. 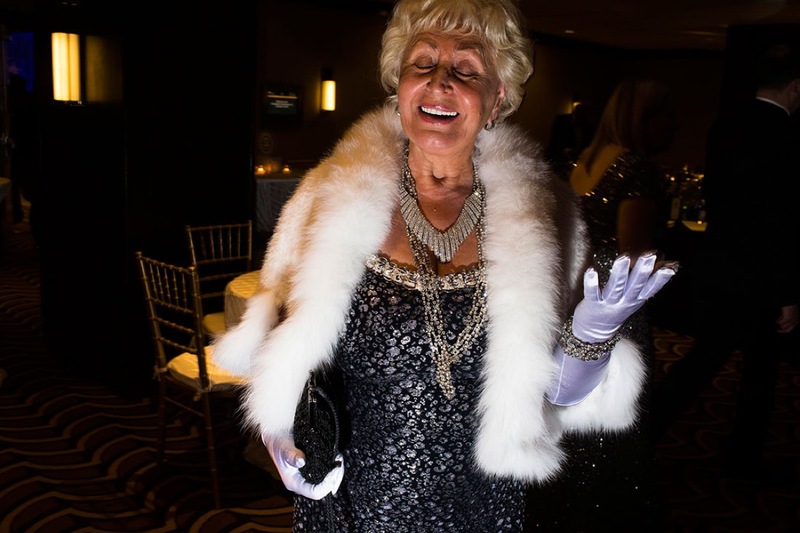 The first couple didn’t attend this particular ball, though, and Nordeman felt it was less about the President and more about celebrating veterans. Earlier in the day, Nordeman watched the new president being sworn in. He described the crowd at Trump’s ceremony as flat, and was surprised by the lack of emotion expressed by some who showed up. During his inaugural address, Trump focused on the themes that propelled his successful bid for the presidency.